The two great graces essential to a saint in this life are faith and repentance. These are the two wings by which he flies to heaven. Faith and repentance preserve the spiritual life just as heat and radical moisture presserve the natural. The grace which I am going to discuss is repentance. Chrysostom thought it was the most appropriate subject for him to preach before the Emperor Arcadius.1 Augustine caused the penitential psalms to be written before him as he lay upon his bed, and he often perused them with tears. 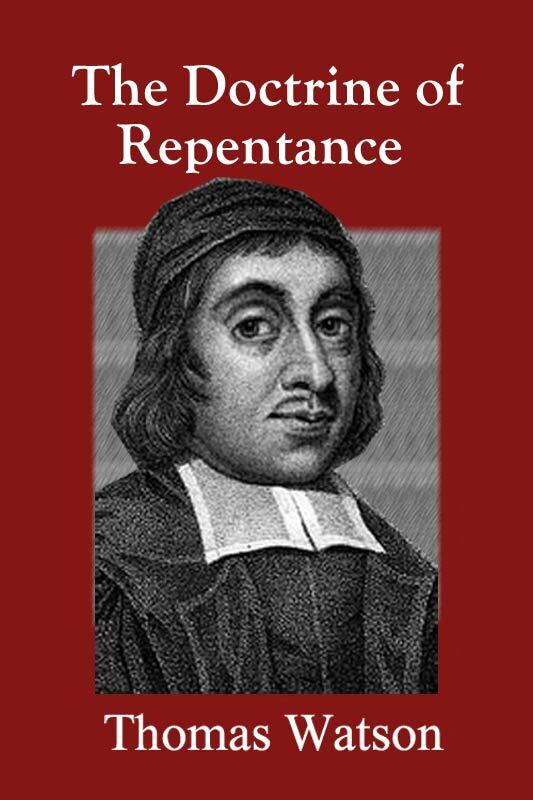 Repentance is never out of season; it is as frequently used as the artificer’s tool or the soldier’s weapon. If I am not mistaken, practical points are more necessary in this age than controversial and polemical. I thought to smother these meditations in my desk. But conceiving them to be of great concern at this juncture of time, I rescinded my first resolution and have now exposed them to critical view. Repentance is purgative; do not fear the working of this pill. Strike your soul, said Chrysostom; strike it and it will escape death by that stroke. How happy it would be if we were more deeply affected with sin, and our eyes swam in their orb. We may clearly see the Spirit of God moving in the waters of repentance, which though troubled, are yet pure. Moist tears dry up sin and quench the wrath of God. Repentance is the cherisher of piety, the procurer of mercy. The more regret and trouble in spirit we have first at our conversion, the less we shall feel afterwards. Christians, do you have a sad resentment of other things and not of sin? Worldly tears fall to the earth, but godly tears are kept in a bottle (Psa 56.8). Do not judge holy weeping as superfluous. Tertullian thought he was born for no other end but to repent. Either sin must drown or the soul must burn. Let it not be said that repentance is difficult. Things that are excellent deserve labor. Will a man not dig for gold in the ore, even though it makes him sweat? It is better to go with difficulty to heaven than with ease to hell. What would the damned give so that they might have a herald sent to them from God to proclaim mercy upon their repentance? What volleys of sighs and groans would they send up to heaven? What floods of tears would their eyes pour out? But it is now too late. They may keep their tears to lament their folly, sooner than to procure pity. O that we would therefore, while we are on this side of the grave, make our peace with God! Tomorrow may be our dying day; let this be our repenting day. How we should imitate the saints of old who embittered their souls and sacrificed their lusts, and put on sackcloth in the hope of having white robes. Peter baptized himself with tears; and that devout lady Paula (of whom Jerome writes), like a bird of paradise, bemoaned herself and humbled herself to the dust for sin. Besides our own personal miscarriages, the deplorable condition of the land calls for a contribution of tears. Have we not lost much of our pristine fame and renown? The time was, when we sat as princess among the provinces (Lam. 1.1), and God made the sheaves of other nations bow down to our sheaf (Gen 37.7). But has not our glory fled away like a bird (Hos 9.11)? And what severe dispensations are yet to come we cannot tell. Our black and hideous vapors having ascended, we may fear loud thunderclaps should follow. And will not all this bring us to our senses and excite in us a spirit of humiliation? Shall we sleep at the top of the mast when the winds are blowing from all the quarters of heaven? O let not the apple of our eye cease (Lam. 2.18)!